The April–June 2018 issue of NGS Magazine has been mailed to members and is available online in the Members Only section of the website. 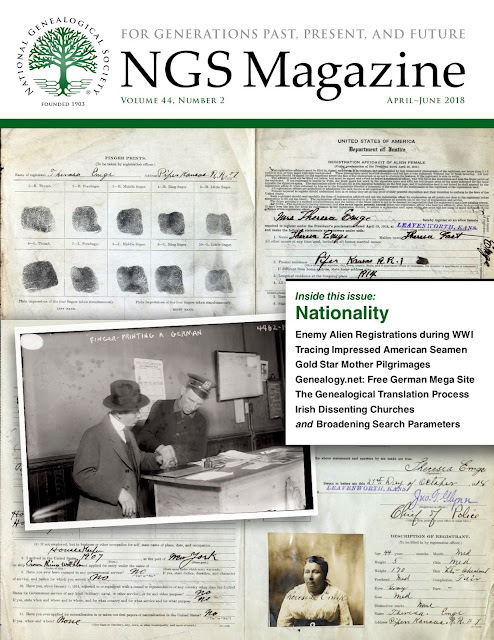 This issue explores a variety of records and techniques pertaining to nationality: foreigners in the United States, Americans overseas, foreign records, and translation. During World War I all enemy aliens in the United States over age fourteen were required to register and obey special laws. Each four-page registration record contains personal details and a photograph. Julie Miller explains the background of the Alien Registration Act, the information in these records, and their known locations, in a comprehensive survey that reveals extant records in fourteen states. Many American merchant seamen before the War of 1812 were impressed by the British into serving in the Royal Navy, usually but not always against their will. As Anne Morddel demonstrates, other records besides seamen’s protection certificates may reveal the history of an impressed seaman, such as in the dramatic case of Ambrose Dodd. During the 1930s the United States government transported more than 6,600 mothers and widows of World War I soldiers to Europe to visit the graves of their sons and husbands. John Graham describes the history of the pilgrimages and the records available for researching the Gold Star Mothers. The most extensive German website with open access to genealogical content is Genealogy.net. Timo Kracke outlines the site’s wealth of indexes, abstracts, and searchable images including family trees, local heritage books, city directories, newspaper announcements, World War I casualty lists, and images of headstones as well as useful resources. Tips are given for translating German web pages into English. Barriers arise but can be overcome when researchers encounter documents in a language or script they don’t understand. Bryna O’Sullivan examines two records, one in German script and one in French, to illustrate the benefits and process of working with genealogical translators and the techniques they use. Narrow search parameters can also block research. 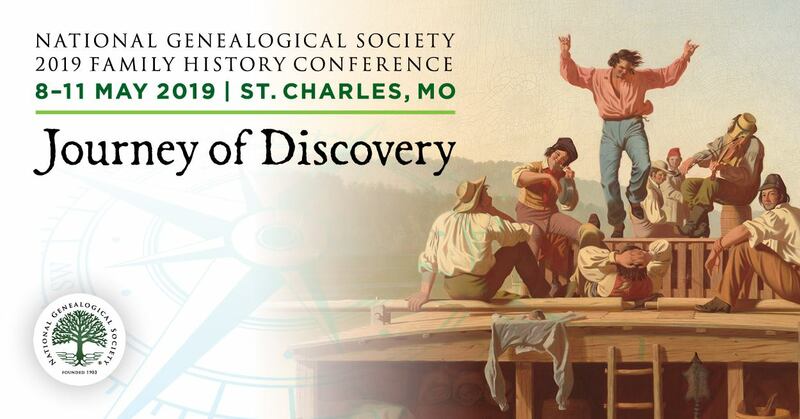 Shannon Green uses a case study to demonstrate how logging search criteria and revisiting results to broaden parameters in spelling, time period, place, and associates can lead to success in identifying the parents of an ancestor. In the last part of her series about the dissenting churches of Ireland, Fiona Fitzsimons describes the Irish Baptists, Plymouth Brethren Christian Church, Salvation Army, Church of Jesus Christ of Latter-day Saints, and Christian Scientists. Our columnists are taking a well-earned break and will resume in the next issue. Sue Zacharias, our layout manager since 2007, has resigned to focus on other pursuits. Her creative talents and collaborative working style have been key elements in the high quality of NGS Magazine. We wish her well in her new endeavors.